It’s always hard to figure out what events to attend or not attend in Orlando, especially with the amazing growth our tech community has had in the last few years. I’m involved in many communities from educational technology to wearable technology to startups. 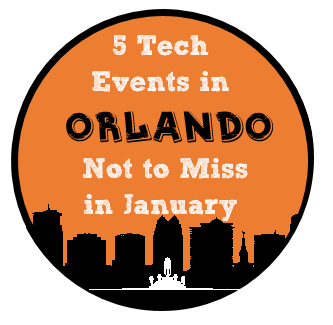 Here are my 5 tech events in Orlando not to miss in January. 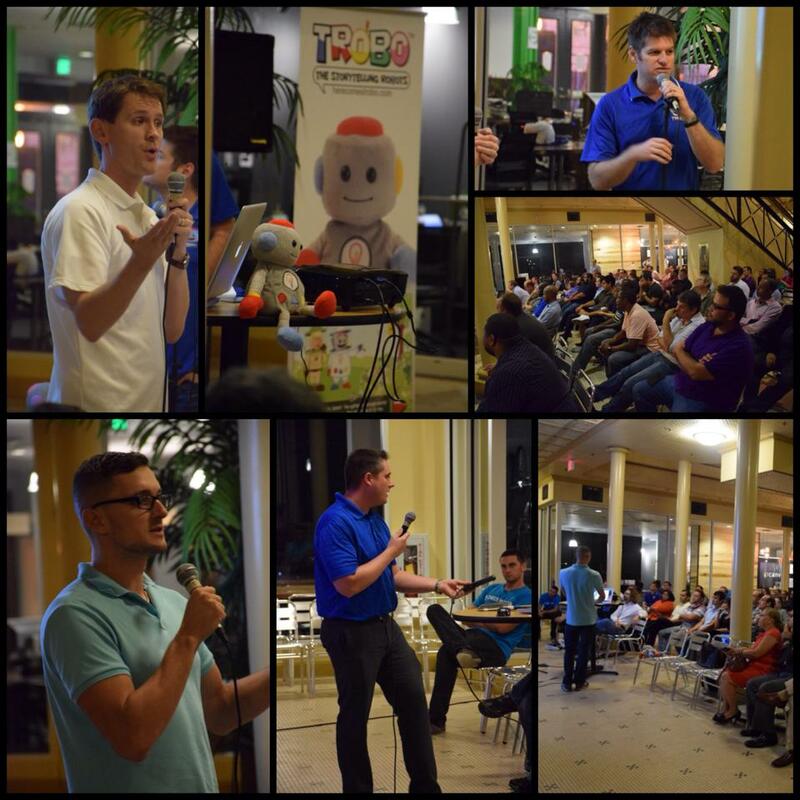 Each month Orlando Tech Associate host an audience of over 150 people to have a few of the local startups demo their products. It’s amazing to see the talent and support of this community. This is not only a great meetup to see what’s happening in Orlando’s tech scene but to meet many of those that have helped it grow. Don’t worry if you aren’t a total tech geek, it’s for all types. The meetup is typically on the third Thursday of the month. It’s hosted in the redeveloped Church Street Exchange building at 7 p.m. with lots of networking taking place afterwards. This month, Bess Auer and I will be demoing our latest community and resource for bloggers, GottaGetBlogging.com. Come out to support us and feel free to list your own blog for free or signup for a pro account to take your blog to the next level. Two others companies will be demoing on that night. MotiveAte is mobile app designed to allow people to effortlessly create a photo food diary of what they eat. Moebius is a visual editor that allows you to create a website without having to type a single line of code. Here is a video from the Orlando Tech Meetup during Orlando Tech Week! Each year the Orlando Science Center host more and more people at this event to showcase technology to all ages. For the 10th consecutive year, multiple industry partners join Orlando Science Center to celebrate interactive technology’s role in how we live, learn, work and play during Otronicon January 16 – 19, 2015. Partners including Lockheed Martin, EA SPORTS, Walt Disney World Resort, Florida Hospital for Children and University of Central Florida demonstrate Orlando’s impact on the world of entertainment, simulation, education, training, health care and more. Otronicon is the Science Center’s largest annual event with an average of 3,000 visitors each day — more than 12,000 guests for all four days. The experience has the opportunity to inspire a child’s interest in science and tech careers through the appeal of video games, interactive technology and virtual reality. There are classes in video game creation as well as exclusive chances to experience simulators to examine how video game technology is being used in the military, medical, sports and entertainment industries as a training and design tool. Plus, connect with local simulation companies to learn about exciting careers in the field. The event promotes the concept of “made in Orlando, played in Orlando” with many chances to interact with the creative professionals that make the games you enjoy and discover the growing career opportunities in your own backyard. Admission to Otronicon is $19 for adults and $13 for youth (ages 3-11). Science Center members can experience Otronicon for free. Otronicon is open 10 a.m. to 10 p.m. Friday, Jan. 16 and Saturday, Jan. 17; and 10 a.m. to 6 p.m. Sunday, Jan. 18 and Monday, Jan. 19. It’s that time of year again – the annual GLOBAL GAME JAM is here! Kicking off on January 23-25 at the Melrose Center in Downtown Orlando’s Orange County Library all weekend long. Not a game dev? You don’t have to be! Creating a game includes all sorts of talents like graphic design, marketing, music, video, motion graphics, and art. It’s part of the massively successful Global Game Jam, which has now grown to 400+ locations & 30,000+ developers from around the world all building games over a single weekend. This is an opportunity to build with our talented peers here in Orlando where you can be part of a team, (or a lone wolf), charting a course to fun and excitement. Everyone is welcome to participate throughout the 48 hour Jam. We’re looking for artists, programmers, game designers, UI & UX designers, sound designers, musicians, makers, builders, film makers, writers, poets, interpretive dancers, people excited about games, people who like to eat pizza, and people like you. Please sign up for only $15 plus Eventbrite fees, and get ready to jam! Echo is hosting the first Wearable Tech meetup for 2015. The agenda is filled with variety of awesome speakers and topics diving into multiple facets of wearable technology. Douglas Brown will talk about his space Factur, a local maker space and fabrication lab in Orlando. Echo’s in-house developers will give an overview of what to expect and how to integrate with your current app into Apple’s Watch Kit available to developers for the Apple Watch. 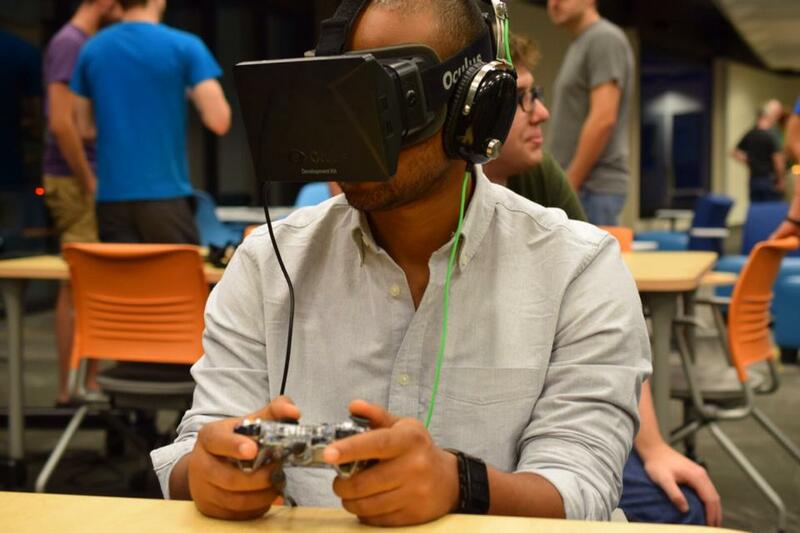 Outhouse Games will demo virtual reality using Unity3d engine and the Oculus VR Headset. They will show how easy it is to develop a basic Unity 3d project and build it to the Oculus headset using the provided OVR. They will take a blank project and within a few minutes import some basic assets and the Oculus provided software/ assets and build a project you can test. Melissa Saelzer will be presenting the roadmap for her work and demoing clothing that uses sensors, light, and sounds with wearable technology in fashion. The education industry is ripe for disruption by new technology, new innovation, and new passion. This group aims to bring together local technologists, teachers, and entrepreneurs who are interested in Educational Technology. We plan to have discussions and presentations with the intention of sharing and learning from each other. 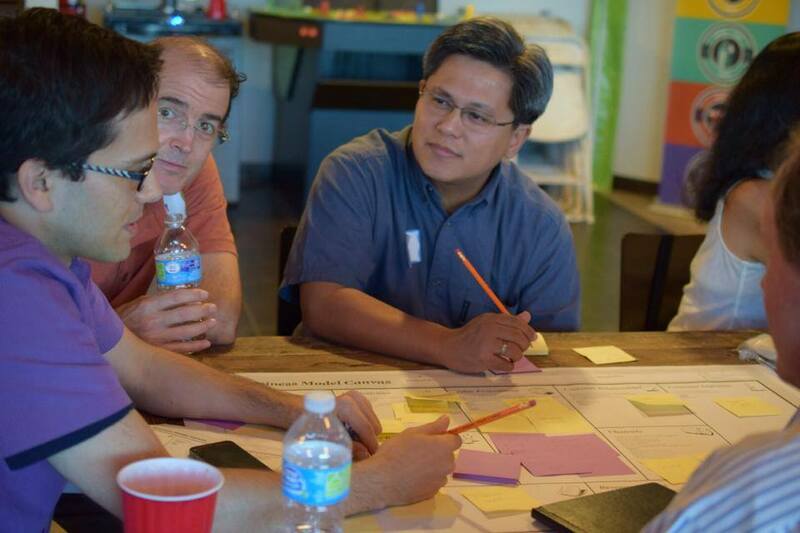 You will need to register to join the EdTech Orlando meetup to see what’s next on the plate for Orlando’s EdTech innovators. Previous meetup covered gaming in education, business models in education, and the path to making an education toy. Comment below with some of your favorite tech events for January!